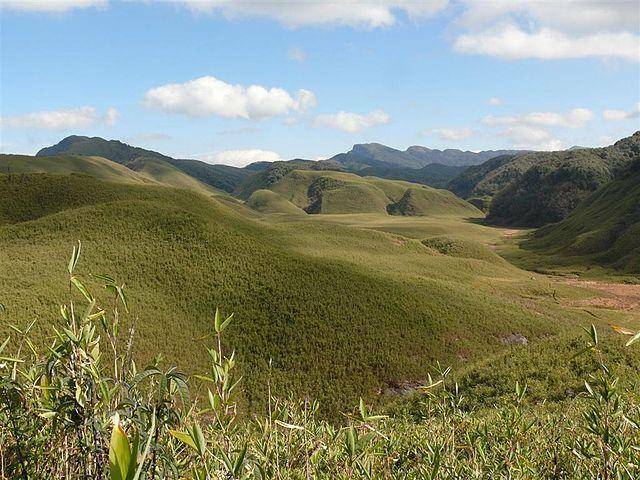 Behind the Japfu ranges resides the beautiful valley of flowers – Dzukou valley or Dzukoi Valley. It is a popular hiking and trekking destination. Lying on the border of Nagaland and Manipur, it is located about 2438 mts above sea level. The valley is known for its lush greenery, pristine mountain air, untouched natural surrounding and beautiful flowers. It is also home to the rare Dzukoi lily. Dzukou valley is about 25 KMs from Kohima.